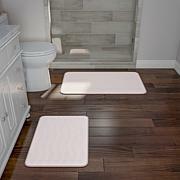 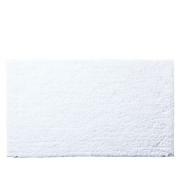 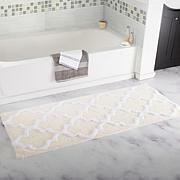 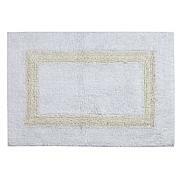 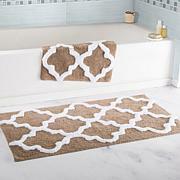 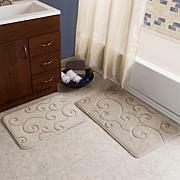 JOY True Perfection 100% Cotton Luxury Bath Rug - 24" x 40"
Step out of your shower or tub and onto luxury with this bath mat set. 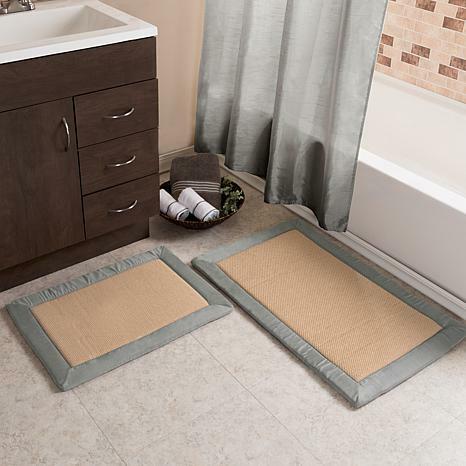 Featuring a soft and absorbent top layer of faux linen fleece and a memory foam core this 2-piece set is attractive and comfortable. 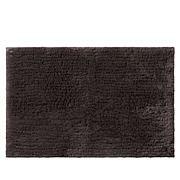 Both pieces also feature a fast-drying bottom. 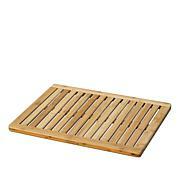 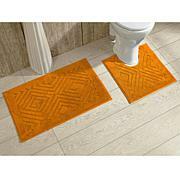 These mats are very small, picture is very disproportinate, and the overall quality is very, very cheap.